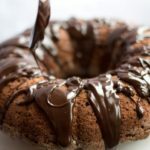 This recipe for Chocolate Mayonnaise Cake with Ganache Drizzle makes a beautiful, light texture that's incredibly moist. 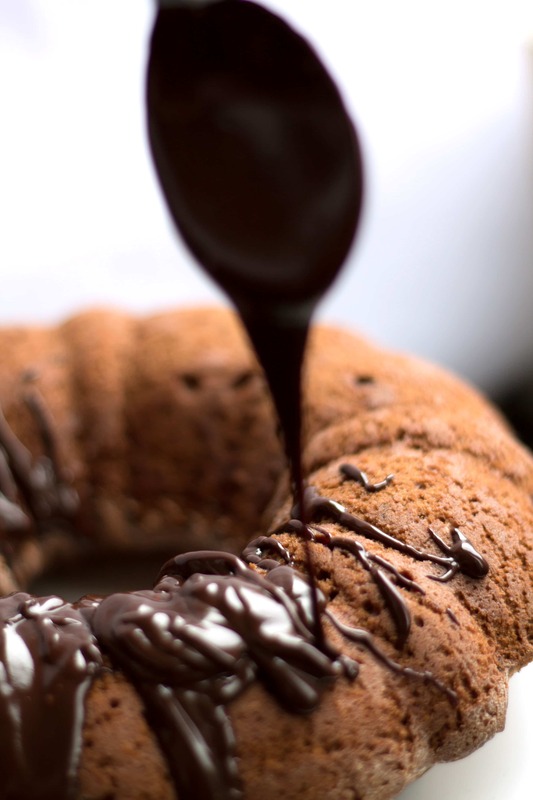 The Ganache Drizzle finishes it off with the perfect amount of indulgence! 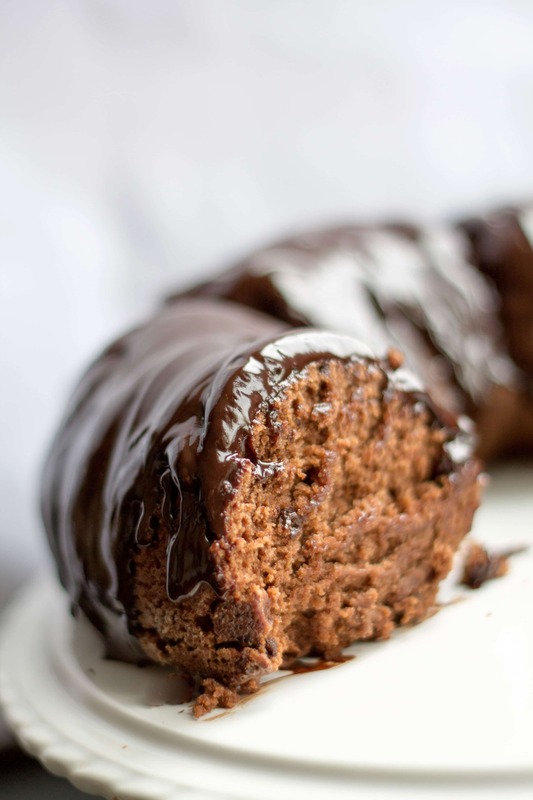 This recipe for Chocolate Mayonnaise Cake with Ganache Drizzle makes a beautiful, light texture that’s incredibly moist. 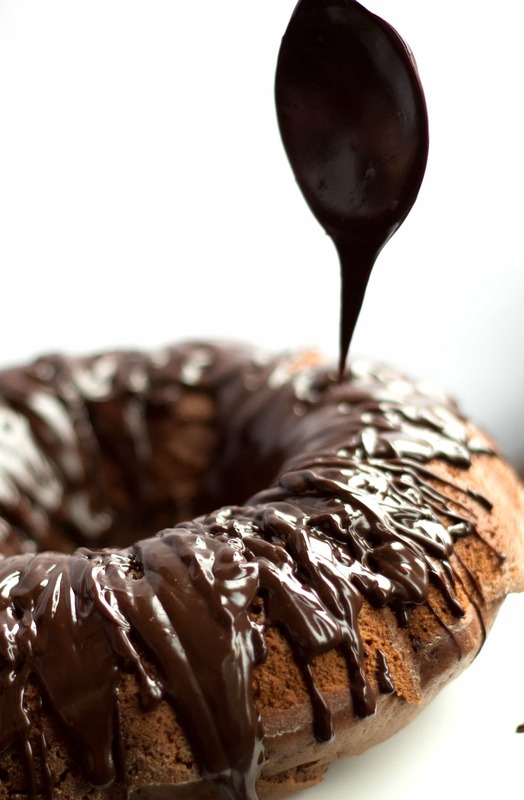 The Ganache Drizzle finishes it off with the perfect amount of indulgence! I had an English friend ask me if I’ve ever had mayonnaise cake. To be honest, I’d never heard of it before.She told me it was super moist and the best chocolate cake she’d ever had. Considering that mayonnaise is mainly eggs and oil, I could see how it would work. I looked it up and most recipes I came across, completely omitted any eggs or fat. I wasn’t sure how it would work, but set to create a recipe. I originally planned to just use cocoa powder and no chocolate in the recipe. This was only because I knew I wanted to make a ganache icing and I only had 7oz of chocolate on hand. While I was in the middle of making the cake I had a food order delivered which had chocolate chips in it so I melted some and added it. I’m really glad I did because it really needed it. The cake turned out much lighter in color than any other chocolate cake I’ve ever made and the texture was super moist and dense. I can’t stress enough how important it is to wait until the cake is completely cool before handling it. I was short on time and moved it too soon and it broke in several places. Luckily, it was after I shot the photos and the friends I made it for are used to my cakes already being cut by the time I serve it (something that comes along with having a food blog). 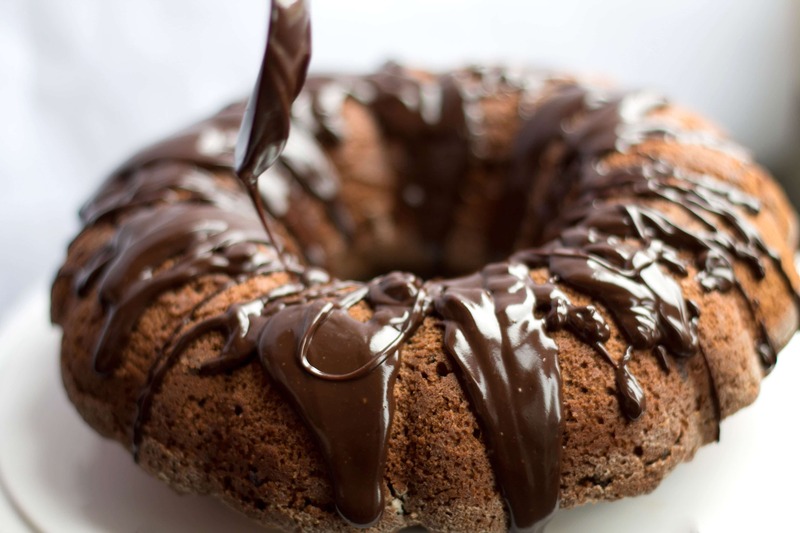 The Ganache Drizzle was the star of the show. It added something special to the cake and it was a big hit. Now that I’ve made it this way, I can’t imagine making it any other way. 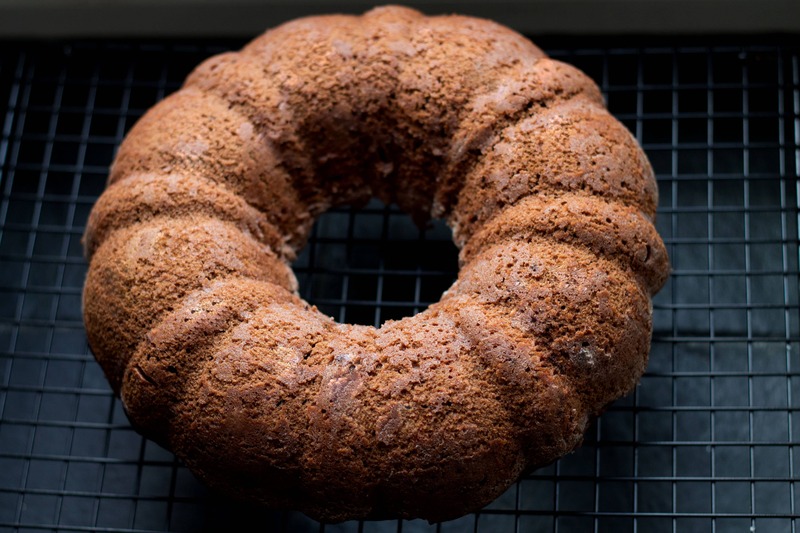 Grease and lightly flour a bundt cake pan. In a large mixing bowl combine flour, sugar, cocoa powder, baking powder, and salt. Add milk, mayonnaise, and vanilla. Add the melted chocolate chips and mix well until combined. The batter will be thick. 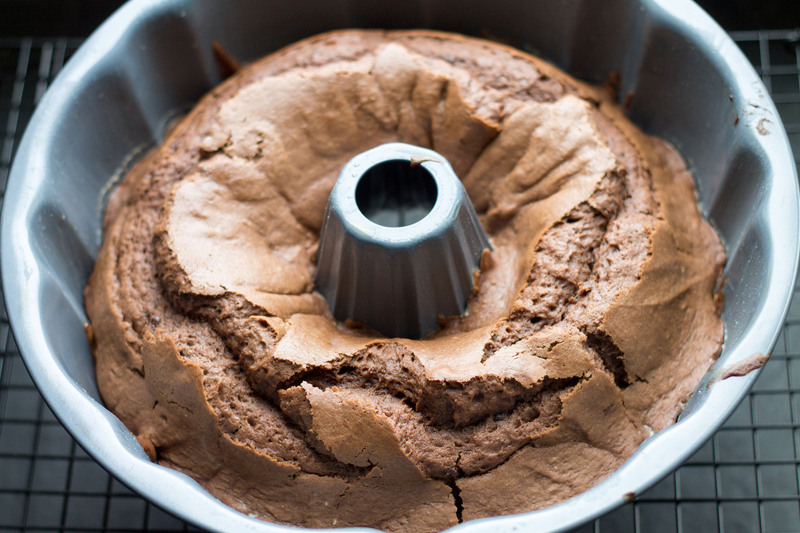 Bake for 25 - 30 minutes or until a cake tester comes out clean. Cool cake in the pan on a wire rack for 10 minutes. Remove cake from pan. Cool thoroughly on a wire rack. 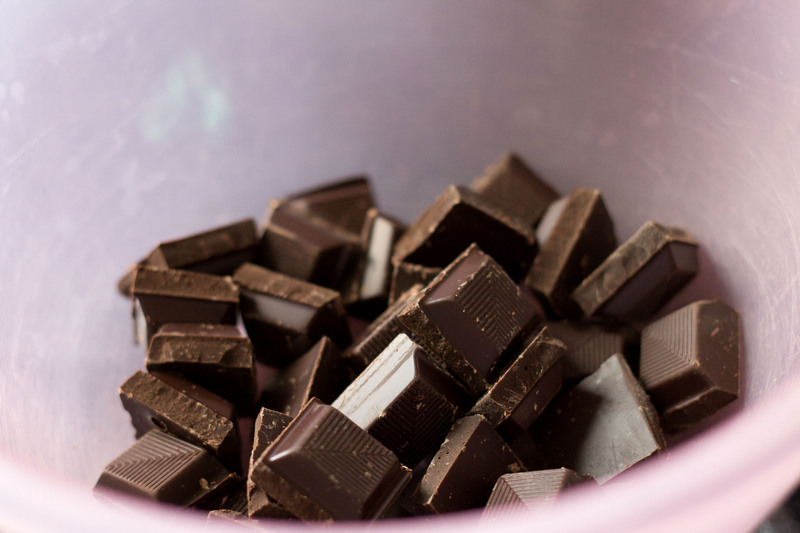 Place the chopped chocolate into a medium sized, heat proof bowl. 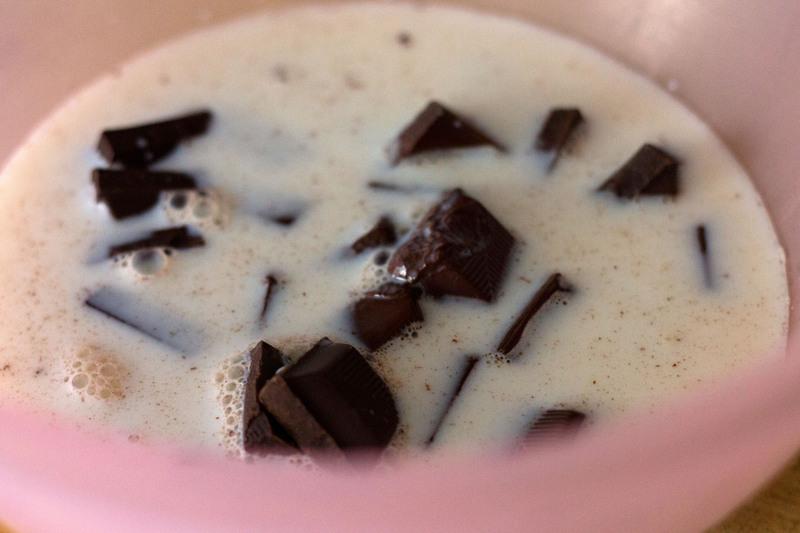 In a small saucepan, heat the cream until it just begins to simmer and then pour it over the chopped chocolate. 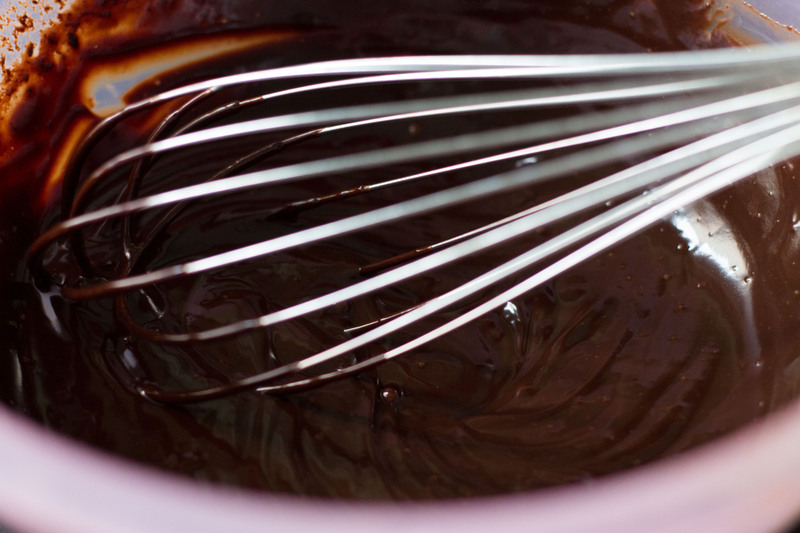 Let it sit a minute and then gently stir with a wooden spoon until the chocolate has fully melted and the ganache is smooth. Then cover and set aside until it is set enough to drizzle over the cake, but isn't too runny. Hi Sif, Sounds lovely. Just keep in mind that the moisture from the fruit can change the consistency of the cake. Hi Valerie, sorry about that. No baking soda. It was an error. I’ve corrected it now. Thanks for letting me know!